The team at OK Tire and Automotive looks forward to serving all of your Sacramento auto repair needs. Just give us a call and we'll arrange an appointment to suit your schedule. We offer complimentary shuttle service, vehicle pick-up, and vehicle delivery. If you prefer to email us, simply complete the web form below and a representative from our Sacramento auto repair shop will be in contact with you shortly. 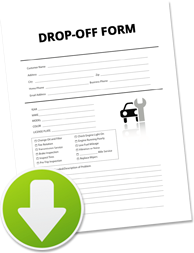 Download our convenient drop-off form. Select Special20% Off First Time Customer Offer!